Tap-Tap the Golden, as it name implies, is a large golden invincible Tap-Tap found in Door Three of Baby Bowser's castle in the game Super Mario World 2: Yoshi's Island. The screen slowly moves through a lava-filled cave as Tap-Tap the Golden chases after Yoshi. It can be hit into the bottomless pits, but it will only come back. Knocking it onto the edge of a platform will make it teeter as it tries to maintain its balance, but knocking it off of the screen is the best option, and several Fangs are around to supply Yoshi with eggs for repetition of this strategy. It is worth noting that Tap-Tap the Golden will actually jump over Yoshi if he gets too close, instead of attempting actual harm. The mini-boss is invincible in normal gameplay, but can be defeated through hacking him into a certain type of lava. Different golden Tap-Taps, called Super Big Tap-Taps, appear in Yoshi's Island DS. 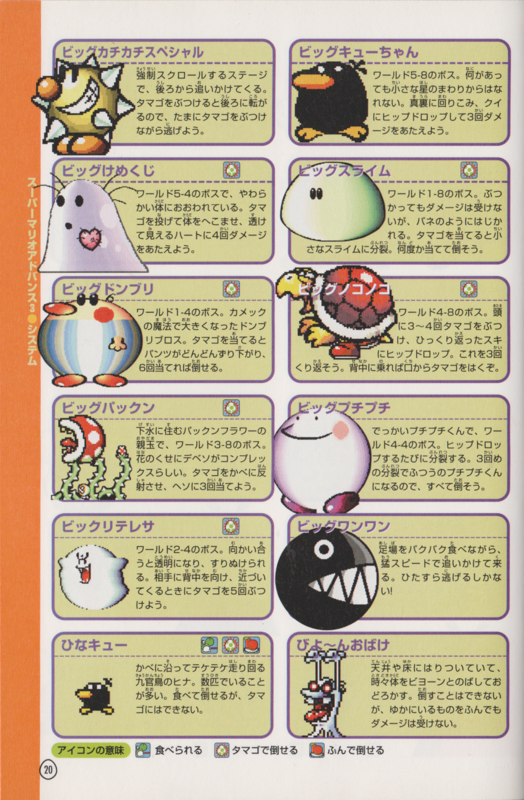 They are much larger than Tap-Tap the Golden and attack Yoshi in a manner similar to Chomp Sharks. 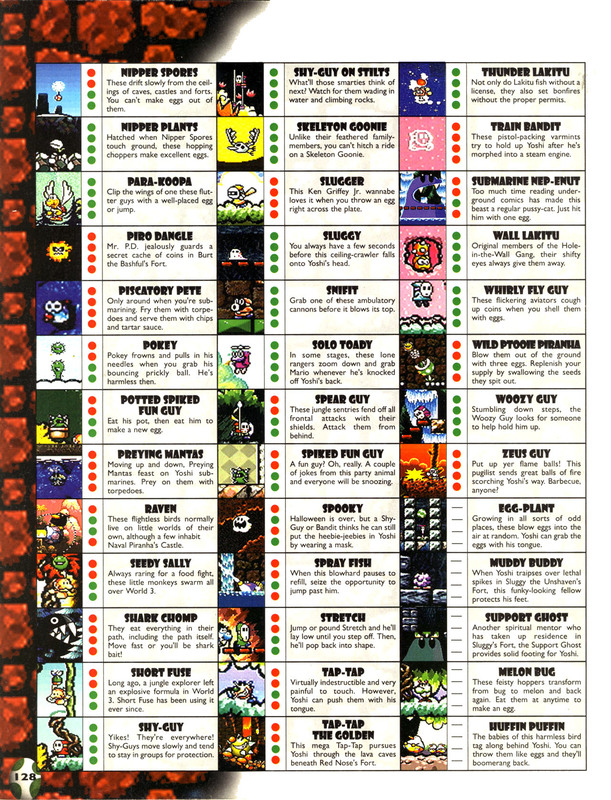 Tap-Tap the Golden may be Tap-Tap the Red Nose resurrected, as the Nintendo Power Guide introduces it with "Tap-Tap the Golden is back", though this is likely an error. Tap-Tap the Golden reappears in Yoshi's New Island in Bowser's Castle Break-In. This time, Yoshi must throw eggs at him not merely to defend himself, but to get to keys located behind him. Instead of the large, open area full of platforms, it is found in a hall not much taller than it. In the original SNES version of the game, the music that plays when being chased by Tap-Tap the Golden is "Big Boss", whereas the GBA release uses "Room Before the Boss" instead. This page was last edited on November 16, 2018, at 13:51.